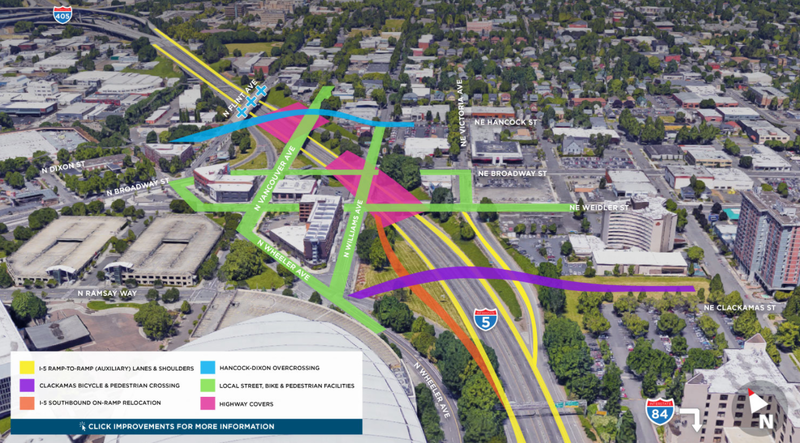 A visual summary by ODOT of the surface-street changes proposed in the I-5 Rose Quarter Project. 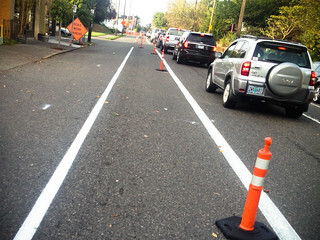 When they explain their support for spending hundreds of millions to add two new on/off freeway lanes and freeway shoulders to Interstate 5 at the Rose Quarter, Portland city leaders have a go-to answer: better surface streets. 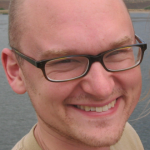 It’s true, Mayor Ted Wheeler conceded last month, that more freeway throughput at this interchange would do “very little to arrest congestion.” Instead, more driving is likely to fill any new space that might open up on the freeway, ultimately leaving cars and trucks as jammed as before (though possibly elsewhere on the road system). OK. So we wanted to know what, exactly, are taxpayers getting in this location that would improve biking and walking? 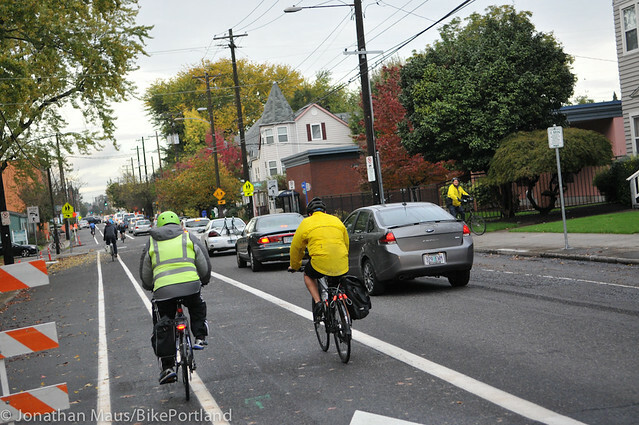 North Williams Avenue, Portland’s busiest biking street that’s full of new shops and housing, was once the heart of our city’s black community. But due to the negative impacts of systemic racism, city policies that hurt people of color, and recent demographic shifts, Williams has changed dramatically. Some of that original culture still thrives, but it’s a shadow of its former self. Now a public art project wants to help Portlanders remember what was lost and celebrate what exists today. 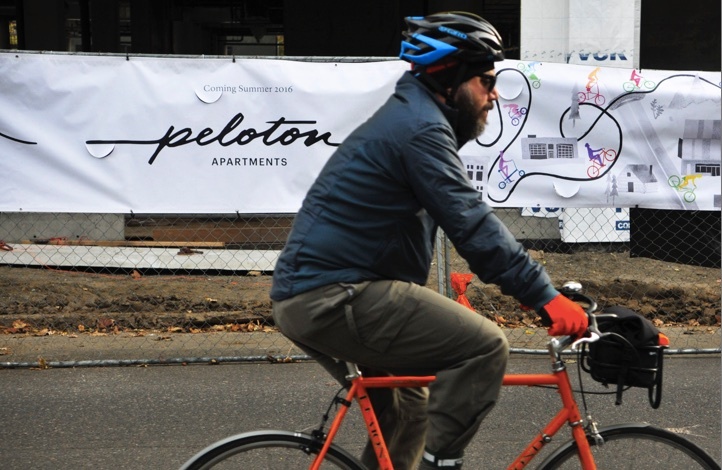 A man rides past the new Peloton Building development on North Vancouver Avenue. What is it about bicycles that inspires Portland’s residential real estate developers? First there was Milano, then Velomor, and now there’s the Peloton Apartments. 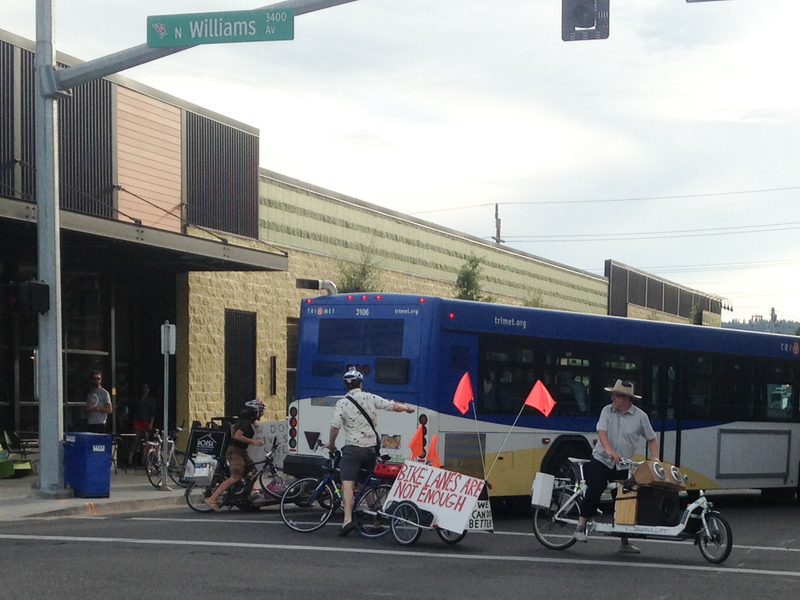 This photo shows a TriMet bus driver who drove through a crosswalk despite the presence of people walking and biking. A short item shared on Reddit’s community of Portlanders (also known as /r/Portland or occasionally Preddit) caught our attention last night. Photo from the scene. The man in the red jersey (seated) is the one who was injured. The tow-truck driver is wearing suspenders bib overalls. 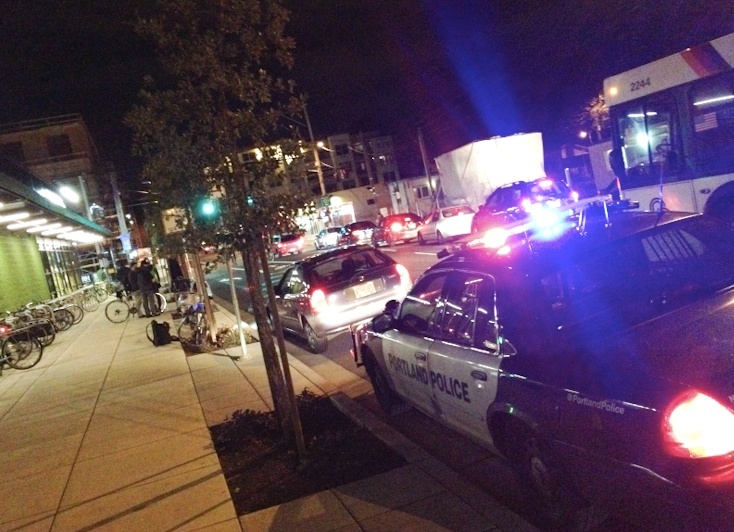 Last night on N Williams Avenue, a man was injured when he was involved in a left-hook collision with another road user. The incident happened around 5:30 at the intersection with Tillamook. 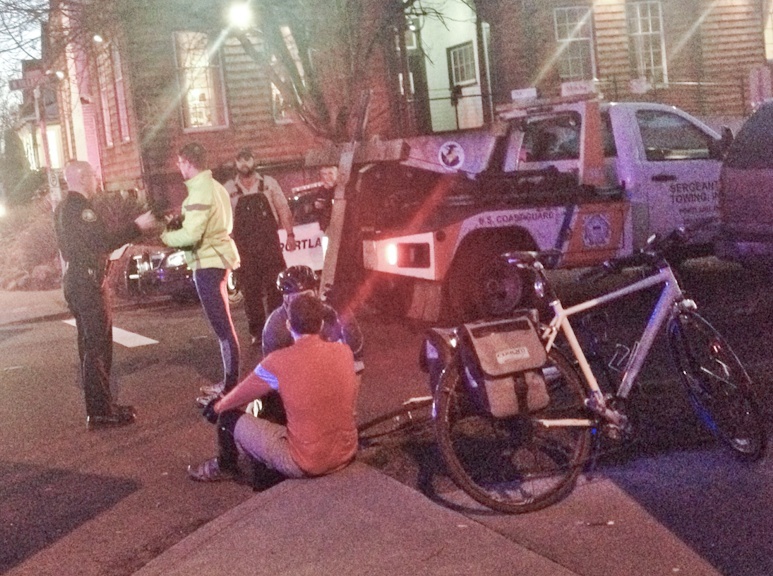 I happened to be riding by and was able to stop and talk to one of the riders who saw the collision. Maybe the All-Powerful Bicycle Lobby had something to do with it, but the day Will Vanlue decided to start delivering for SoupCycle was an especially good day for the rest of Portland. 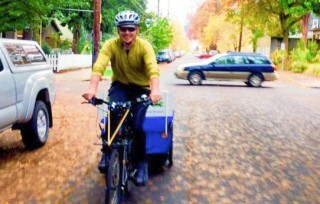 As a courier for the Portland-based soup delivery service, Vanlue — a former BikePortland contributor and Bicycle Transportation Alliance communications manager, a talented photographer and one of the most courteous and mindfully upbeat biking advocates in town — spends many of his daytime hours traveling the city’s streets in an upright city bike with a trailer full of fresh soup. Also with him: a smartphone camera he’s been using for months to share street design shortcomings on Twitter. There was a collision on N Williams this evening at around 5:30 pm. It happened just south of Fremont right outside New Seasons market. Fire and police units responded but there were no serious injuries. I happened to roll up on the scene about a half-hour after it happened. The driver and the bike rider were still at the scene. I spoke to both parties and they were both very shaken up by what happened. change is already impacting traffic. Yesterday I got two separate reader emails about the same issue just a few hours apart. Whenever that happens it gets my attention. In this case, the issue is the increased amount of auto traffic diversion onto NE Rodney as a result of construction and lane configuration changes on Williams Avenue. Most of you are well-aware by now that the Bureau of Transportation has finally begun construction on the North Williams Safety Project. With the redesign on Williams there is less space for driving and the backups of cars in the past week or so has been a lot worse that usual (and that’s saying something on a long-chaotic stretch of road). 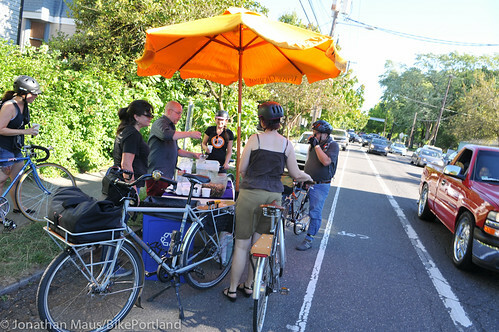 Wine Up, a wine bar on Williams Ave, gave away free snacks and drinks to bicycle riders yesterday.